So that ancient, inefficient HVAC system you’ve been thinking of replacing for several years has finally met its demise. Now is the perfect time to explore the benefits of installing a heat pump in your Carlisle PA, Chambersburg PA, or Harrisburg PA-area home. A heat pump works by extracting heat from outside your house and circulating it through the interior to keep it warm in the winter. During the summer, it functions in reverse by removing warm air from the inside and transferring it to the outside. You can get the best of both worlds: the ability to heat and cool your home with one system! 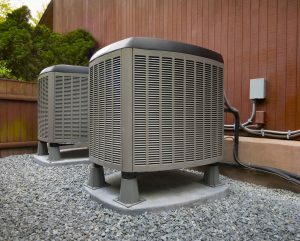 A heat pump is remarkably efficient at converting energy to heat — it’s typically more efficient than natural gas, oil and electric heating systems. On the other hand, a heat pump decreases in efficiency when the temperature dips below the freezing point. Supplementing a heat pump with a furnace enables you to maximize your home’s comfort — and energy savings. Or, if you already have separate heating and A/C units in your home and only need to upgrade the heating system, a furnace replacement might be the best option for your situation. We can help with that as well! If you’re a homeowner in Harrisburg, PA, Carlisle, PA, or elsewhere in the South Central PA region, Tuckey Mechanical Services can supply you with a dependable heat pump that will maximize your home’s heating and cooling efficiency. We’re proud to recommend an assortment of heat pumps from Bryant, a recognized leader in home comfort solutions for more than a century. Bryant has a proven track record of doing whatever it takes to deliver trusted comfort, quality and value. Bryant heat pumps combine superior performance with the broadest selection of comfort options on the market. Our Bryant inventory includes an economy heat pump line that delivers exceptional year-round heating and cooling value, “mid-range” models that provide all-season flexibility for total home comfort, and a premium line for the highest-quality efficiency and performance. As a full-service heating contractor, we can provide you with expert guidance when selecting the ideal heat pump for your needs and budget. We can also handle the entire installation process. We back our quality heat pump installations with reliable service after the sale. You can count on Tuckey Mechanical Services for expert heat pump repair service to ensure your unit continues to function efficiently. We service all major brands of heat pumps on the market, backed by industry-recognized training and certifications to ensure your job is done right! 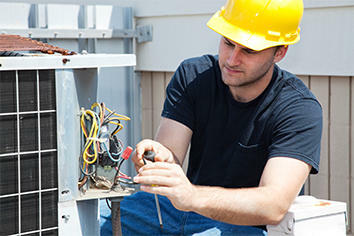 We even offer 24/7 repair service to handle those unexpected heating and cooling emergencies. Learn more about the benefits of installing a heat pump in your Harrisburg PA, Chambersburg PA, or Carlisle PA, home. Contact us for additional information and a free estimate today.